Hello everyone, I’m Ellie; I’m a junior at Elliott School majoring in IMC. I transferred to Wichita State from a small community college in northern Michigan. I have only been in Kansas since March 2018 and I can say, with confidence, that the winters here are more miserable than winters in Michigan! I chose Wichita State because my older sister graduated from here and I have some family here; the rest of my family is either in Texas or Michigan; Kansas is in the middle so it seemed like a good choice. I hope to do PR for a sports team or join a marketing team for a company that does a good job of giving back to their community. I spend most of my time watching hockey, hanging out with my dog Miggy (named after the Detroit Tigers player Miguel “Miggy” Cabrera), and doing basically anything that is active or outdoors. Any chance I get to travel I do; my favorite place I’ve been so far is either The Grand Canyon or Chicago. My friends and family are my whole world, I would do anything for them. I also like painting and working on home improvement projects…. annnnnd that’s about it. Welcome to me. Hi guys, my name is Brady Hawkins. I grew up in Andale, KS, which is about 15 minutes from Wichita. I have 2 brothers and I am the youngest sibling in the family. This is my second semester attending WSU and I am going into strategic communications as my major and minoring in sports management. Before going to WSU, I spent 2 years at Hutchinson Community College, and honestly WSU has already been a much better experience for me than HCC was. I am currently a manager at Rally House, a local sports shop, located on 21st and Maize. I really enjoy my job because it is involved within sports, and sports has always been a huge influence in my life. I started playing sports early on in my life. I played basketball, football, and also ran track throughout middle school and high school. Although I enjoy pretty much every sport there is, if I had to choose a favorite it would definitely be basketball. I hope that one day I will be able to be a part of a basketball organization, whether it be collegiate or professional. Another dream job of mine would also be a sports analyst. Some other things I enjoy doing are playing video games and binge watching tv series. Some of my favorite games are NBA 2k, Zelda: Breath of the Wild, and Rocket League. Hands down my favorite tv series is Game of Thrones. I have watched Game of Thrones 2 times through ( currently working on my third) and could honestly talk all day about it. Anyways, I look forward to learning many things this semester with you all! my name is Khiernan but you can just call me K, just the letter. I am a third year trasnfer student to WSU and I’m here to become a director for anything in film, whether that be commercials, TV shows, Music Videos, or short films. This actually consumes most of my free time because I’m always holding a camera filming something. I am trying to start my own production company within the next two years which is a huge goal of mine. My other favorite thing to do is play Pokemon, and if you don’t know what that is, it’s a video game that has been around since 1998 and I still play it to this day. Pokemon has a saying which is “Gotta catch em all” the title of this article, that is because just like in my favorite video game I like to capture all the moments in my life. I like to put a certain twist on filming everyday life with very cinematic footage. I am a firm believer that even your everyday life can be beautiful and we sometimes get wrapped up in life so much we forget to take the time to slow down and enjoy the day. I am a really really easy going person who just lives moment to moment laughing all day and taking in what life has to offer. I am also a huge ultimate frisbee fan! I love to just go outside and throw around a frisbee, doesn’t matter what time of year I am always down to go toss a frisbee with anyone! What’s up guys! My name is Baileigh and I’m a senior IMC major with a passion for advertising and copy writing. Funny story: I came into college thinking I was going to be a dentist (or at least a dental hygienist) until biology 210 slapped me in the face with a big fat reality check. Thank goodness for the Elliott School being my saving grace! I currently work at the Sedgwick County Zoo as their communication intern, so most of my days include posting on social media, writing feature stories and hanging out with adorable animals. So it’s basically the best job in the world. The rest of my life I spend watching Netflix documentaries, thrift shopping, cooking and planning my wedding! Hello, my name is Ashley Schoch. I’m a junior, majoring in Communications. I’ve been extremely indecisive on my choice of emphasis, because everything interests me. I’m all over the place, as you’ll see in my bio. I’m originally from Tulsa, Oklahoma. Although I’ve lived in 10 different states (and 15 different cities), Wichita, KS is the last place I ever thought I’d end up. I’m here in Wichita because of my fiancé, an aerospace engineer and Airbus employee. We met while I was employed as a United Airlines flight attendant. He was one of my passengers on a flight I worked from Ottawa, Canada (his home town) to Chicago, IL (my base). Currently, I’m a full-time student, enrolled in 5 classes. My fiancé and I own a beautiful home in SE Wichita, with our Himalayan cat, Ruby, and our Chow Chow, Violet. As mentioned before, I have a ton of interests. I love learning and experimenting. A few of my favorite pastimes are doing home renovations/remodeling, building furniture from scratch (and refinishing), and cooking without recipes. In other words, I’m a jack of all trades, master of none. I love challenges and prefer to take on tasks myself, as opposed to paying someone else to do it. Because of this, I can work on cars, cook nearly anything from scratch, and do everything home related (tile, drywall, backsplash, etc.…). I know very little about photography and Photoshop, so I’m excited for the invaluable experience and knowledge I’ll gain from this course. Thanks! Hey, guys! My name is Jordan Bani-Younes and I’m a junior studying communication with an emphasis in electronic media and minoring in mathematics. I’m one of the few communication majors that absolutely loves math. Technically, this is my senior year, but I pretty much wasted both semesters last school year when I had my stroke. Part of my brain is now dead! My end goal is to work as an editor/writer/director in Hollywood, but I’ll be happy if I end up being the guy that hands people the props. I suppose I had always planned on going to WSU, but I never really knew what for. I’ve actually changed my major multiple times, enrolling in Undecided Engineering, switching to Aerospace Engineering, then Biomedical Engineering, then back to Aerospace, then I finally got tired of it all, and switched to Electronic Media. My father always wanted me to become a doctor and my mom wanted me to be an engineer, but I finally realized I didn’t want the path my parents had planned out for me and choose to go along a new one. I’ve never been one for joining clubs, doing sports, talking to people, or doing anything other than watching television/movies and playing with dogs. Movies and television have shaped me into the person I am more than anything, so I figured why not work in the industry. Even if I never make it to Hollywood, the rush I get when I even publish a YouTube video is rewarding enough. I’ve actually written a live action Batman Beyond film that will likely never get seen by Warner Bros., although I’d love to see it get made someday with Michael Keaton reprising his role as Bruce Wayne. I’m on my second viewing of the 2005-present Doctor Who series, this time following the chronological story with Torchwood, The Sarah Jane Smith Adventures, Class, and all the short films included! Eventually, I’ll get around to watching Classic Doctor Who, mainly to see Tom Baker as the Doctor. I’m also one of the biggest MCU nerds around, as I’ve seen Infinity War well over 100 times at my job at Best Buy. I collect movie prop replicas, Hot Toys figures, statues, comics, art of the film books, basically everything other than Funko Pops. Bill Maher may call I’m childish, but it’s what makes me happy. Hello Everyone! My name is Sierra Schlecht. I am 20 years old and from Enid, Oklahoma. I am a sophomore at Wichita State University studying Communications with an emphasis in Integrated Marketing Communication. Originally, I came to WSU for the Dental Hygiene program. After I realized I was terrible at chemistry, I decided to follow my dreams of videography and photography. I focus on videography more than photography. My main subjects that I like to shoot are cars and motorcycles. Some of my hobbies include gardening, cooking, taking my dog on walks, and working on cars and motorcycles. My senior year in high school, I took a botany class and learned the proper way to tend to a garden. I ended up growing cucumbers, watermelon, tomatoes, and honeydew. Fun fact about me, I am actually severely allergic to watermelon. My favorite part of gardening was giving all the extra produce left over to my local soup kitchen. When I’m not at school, I can almost always be found at my shop working on my car. My current project car is a 1987 BMW 325 sedan. I won’t bore you with car jargon, but I’m swapping a way bigger motor in it and setting it up to be a performance build. If you’re curious on the build you can find more videos and information on my YouTube channel. Click Here! One of my favorite things about Wichita State was the rowing team. I was a Coxswain on the Rowing Team my freshman year. However, due to health problems I decided to step down from the team. If you’re looking to get involved with a club or organization, I highly recommend looking into rowing. It’s an amazing sport, you get to travel, and there’s scholarships so that’s a mega plus. If anyone wants to get to know me more or are just looking for friends, don’t be shy and start a conversation with me. I love meeting new people and I always try to find something we share in common. Thanks for reading! Game article I made for a previous digital design class. So just to start off, like most of you, I am an Integrated Marketing Communications major. I thoroughly enjoy the digital editing and designing portion of it, as well as the psychology behind what makes certain images and logos so appealing while others are seen as dull. This is actually my second semester at WSU despite being a junior; the rest of my education was taken at Butler Community College. After college I am hoping to work as an either a logo or ad designer for whatever company decides to hire me. Some of my personal interests include video games, digital art, and various percussion instruments (even though I can not play them very well). 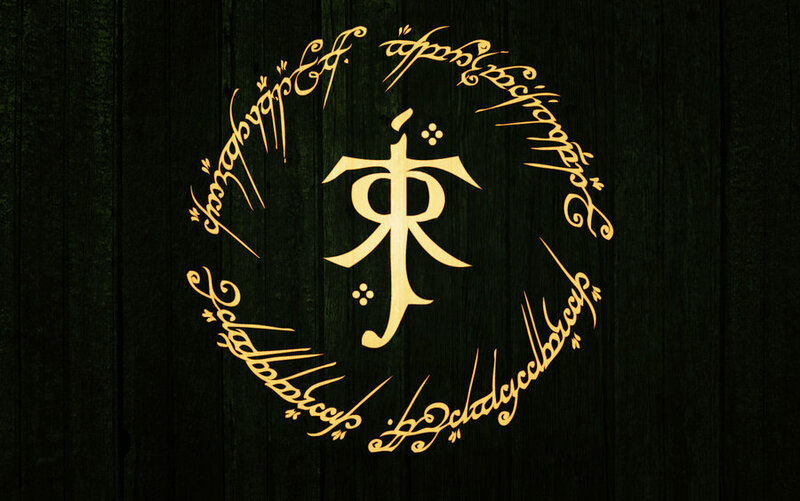 I am also very fond of fantasy movies/ TV shows such as the LOTR series and GoT. Fantasy is not the only genre I am fond of, however, I also enjoy science fiction with shows like Star Wars, Star Trek, and anything with star in its name, generally. I work at the Warren Theater as a team leader and have for almost the past 2 years now. If anything it has fostered my love for movies and entertainment and given me a desire to pursue visual arts. I also used to some design work for my East High through their Digital Arts course. There I designed posters and ads for the TV’s that were placed throughout the school. I look forward to being able to further my abilities in the field and learn some new stuff with all of you!